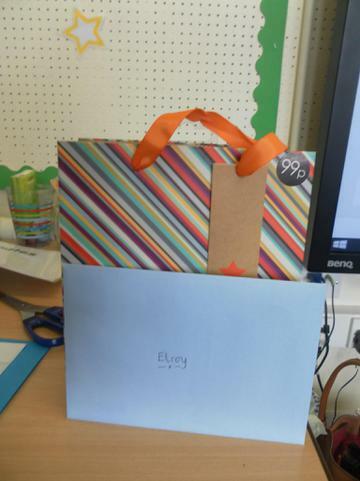 To conclude our wonderful Memory Box topic, Class 2 got the opportunity to make their own memory boxes. These included photographs we have taken throughout our topic and information, including, what our favourite part of Class 2 has been, so far. 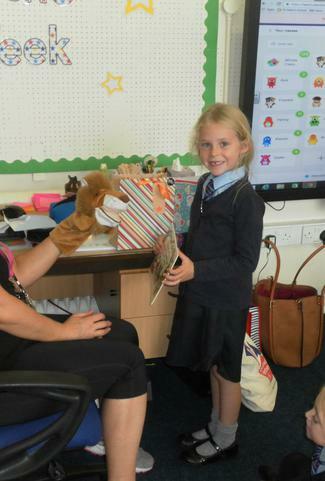 As you can see, everyone in Class 2 has really enjoyed our first topic and some beautiful memory boxes have been created. We are all so excited to continue on our learning journey, developing our knowledge even further. Make sure you take a look on our Autumn 2 page when we start our messy new topic after the half-term break. It should be fun! Please make sure you try to bring an old t-shirt into school on the first Monday back after our break so, we can start our new topic off with a bit of a "Messy Morning!" This week, we have started learning about 'Signs and Symbols' in RE. After watching an Engagement Party video and noticing lots of signs and symbols on our whiteboard, we got the opportunity to experience our topic further. We discussed the signs we see on our way to school in the morning and symbols we see in our school surroundings. Following on from the Wedding of the Year, we were able to celebrate another special occasion in Class 2, our very own Class Baptism. We were all able to recognise different signs and symbols involved in our class ceremony as well as experiencing the special words said at a baptism. We, also, learnt about the different people that are present at a special occasion like this. 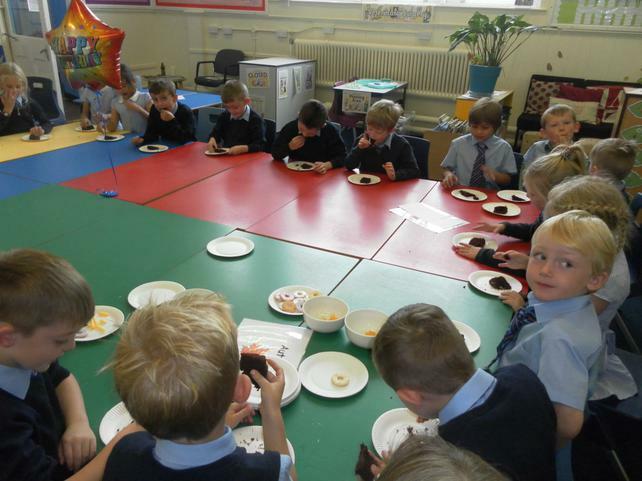 Our class had our very own baby, congregation, parents, Godparents and our newly ordained Class priest. 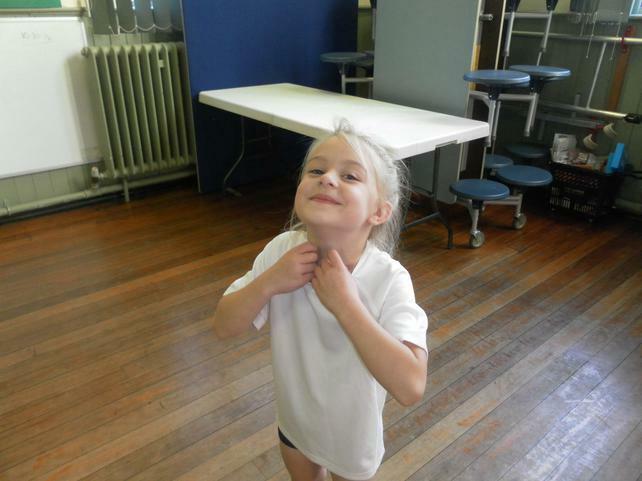 We can't wait for our next lesson! This week we took part in a game that will be familiar to many of you. A game made famous by the TV legend Sir Bruce Forsyth on the popular Saturday night game show, 'The Generation Game'. This game is essentially a memory game. 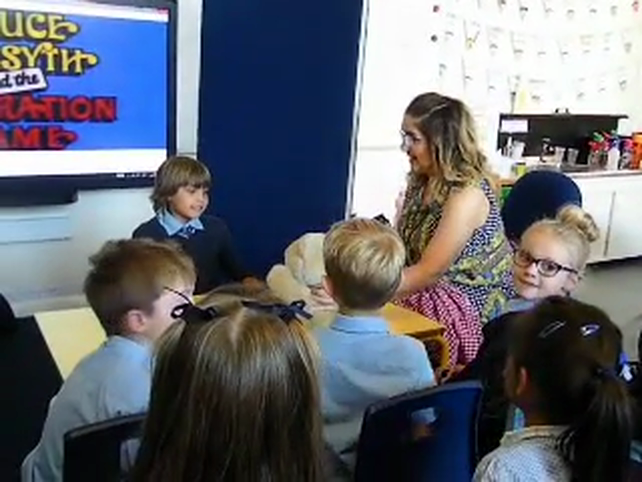 Pupils were shown a selection of objects over a period of 1 minute. These were then covered and the children had a further 1 minute to remember as many of them as possible. This involved using our short term memory. We even included the traditional cuddly toy as one of our objects. As a class, whether we were taking part in the game or just a member of the 'audience', we had so much fun. This week we immersed ourselves in the past. We traveled back to a time when the school playground was dominated by simple and traditional school games. 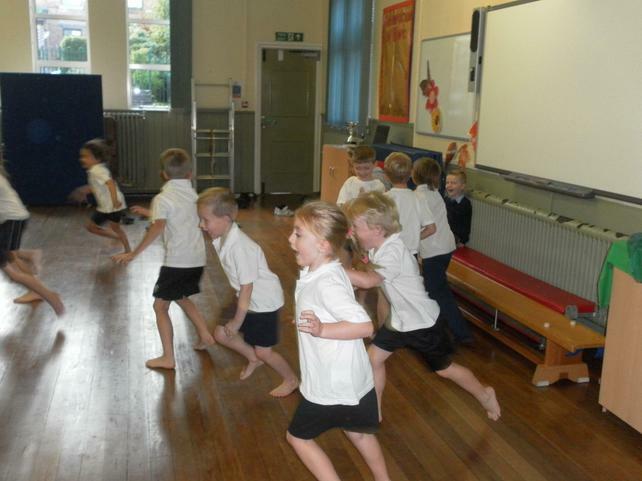 In one of our P.E sessions, we played a variety of playground games from past generations including 'Simon Says' and 'What time is it Mr Wolf?' We listened to the rules and co-operated with each other beautifully. We, also, found that some of the games we played are still popular today. Taking part in these games was so much fun and it gave us the opportunity to develop our knowledge of how things change over time even further. Unfortunately we were unable to play these games outside in our school playground due to the typical British weather! 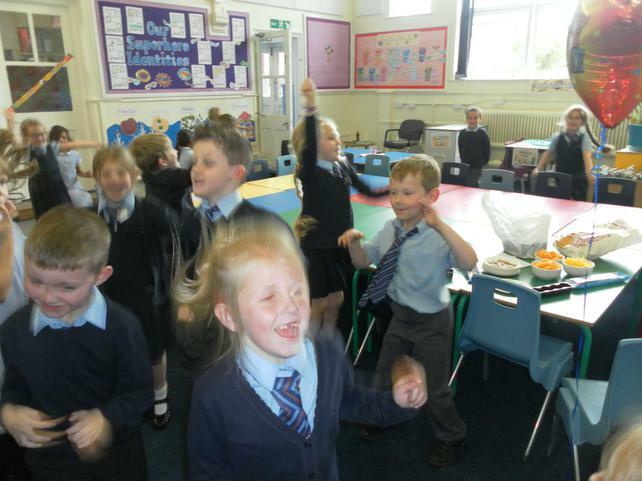 This week, Class 2 had our most memorable experience so far. We had a fun-filled, incredible learning experience at Eureka Science Museum. During our trip we discovered just how amazing humans are, everything from birth itself to the structure of our body, our senses and how we fuel the machines that are our bodies. 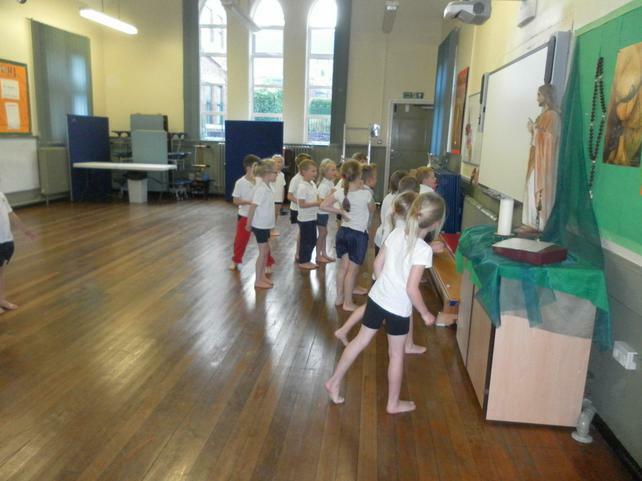 We also experienced, through role-play, the world around us, and how we interact with each other on an everyday basis. We had so much fun acting out different situations, watch out for our very own bank robber and our newly appointed Yorkshire Electricity truck drivers! Next week, we will be using our short-term memory to recall our favourite parts of what can only be described as a very special day. Welcome to the Wedding of the Year! 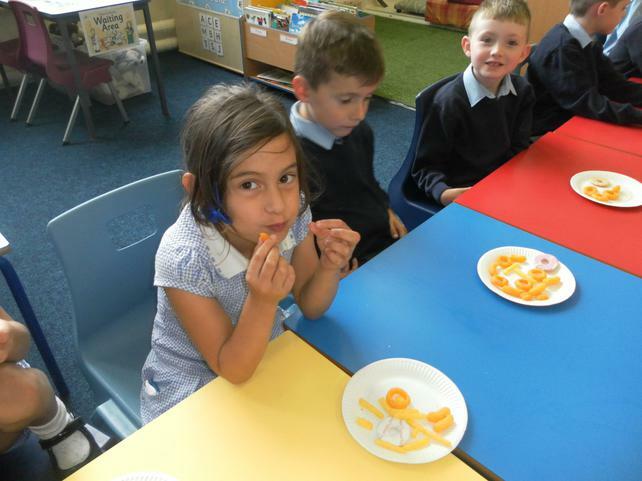 We have had yet another memorable experience this week in Class 2. We learnt all about weddings and how they are a very special occasion at which families come together and share the love between them. Our Class 2 bride was given away by her father, vows were said and rings exchanged. Speeches were given by friends and family of the bride and groom and, finally, the moment we were all waiting for came... The bride threw her bouquet. We had such an enjoyable experience taking part in our ceremony. Our experience helped us to create our own special invitations. It, also, really helped us to envision what happens at a wedding, for those in class that have never attended one. 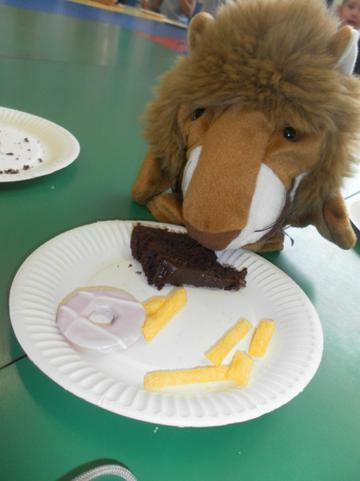 This week, our class birthday party for Elroy the Lion helped us to remember our own birthday celebrations and think about what made them so special. 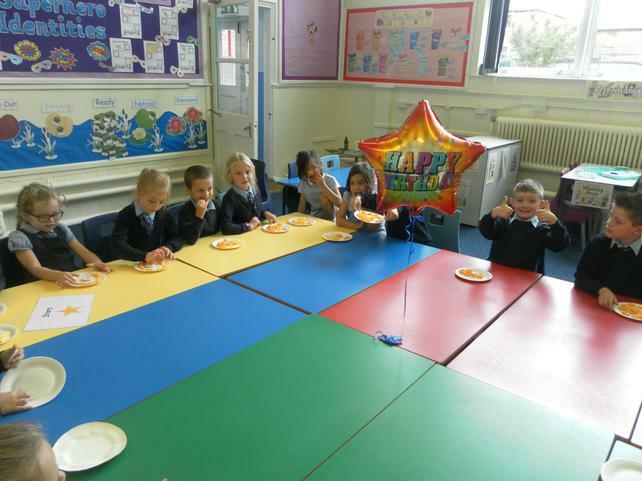 Class 2 had a great time celebrating and taking part in all of the activities that happen at a children's birthday party. We learnt so much about each other and celebrations through sharing our memories with the class. Our next step involved making birthday cards for Elroy with pictures that represented our favourite memories from birthday celebrations. What will we find out next in our 'Memory Box' topic? Our first topic in Class 2 is called 'Memory Box'. In school we have been sharing our memories and experiences with each other to inform our learning. 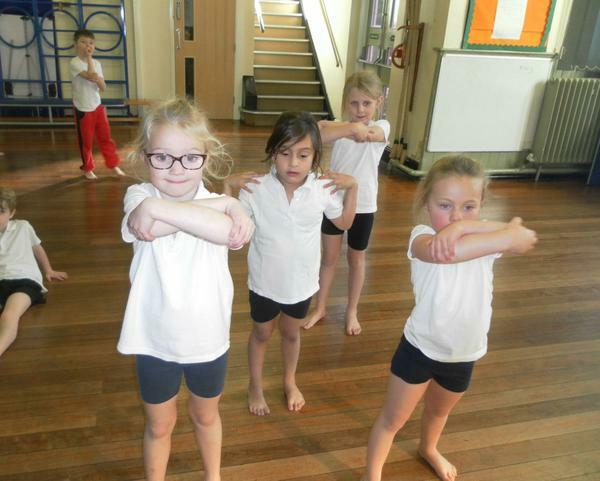 As part of our topic, we have learnt about the different stages in our lives including infancy. In our PSHE lesson, we found out about babies and what is needed to care for them. Our special visitor helped us to understand what babies can and can't do and how family works together to care for a small baby. He made our lesson so enjoyable. 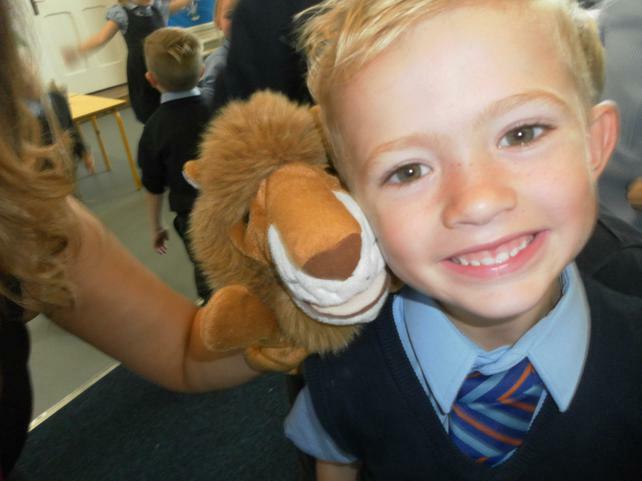 We are all really looking forward to sharing more of our memories with each other in Class 2.